This is a new blog series where we can each sing the praises of our favorite local shops, brands, and restaurants. Supporting local businesses does even more than supporting small business owners (though that is great too). It keeps your money local to you (not off wherever the Waltons are vacationing), creates more jobs for your friends and family, and even helps the environment. Why is shopping local good for the environment? We talk a lot about commutes and how much fuel people use to travel, and the same applies to your stuff. The further your stuff has to travel, the more fossil fuels they use and energy they waste. Large companies and chains pretty consistently show less responsibility and concern for the environment and the communities they are in, so you can effect positive change locally and decrease your environmental impact just by shopping and eating local! This blog intends to encourage us to get out and explore the businesses near where we live. See it as a fun challenge to see what you can support nearby and be surprised what amazingness you may have missed. You can also check out other lists to find the coolest places to go when you travel to new places! This small town will always be my home in my heart, so I can't say too much about it, but it is on the Allegheny and is surrounded by hills. It's a small community once very rich from oil, which eventually left, but it has tons of beautiful Victorian architecture and lots of great small businesses to talk about. Pag has lived in Franklin since his school years, writes for the local paper, and he is an expert on all things Venangoland (including the food). Thank you Pag, for your list of all your favorite local places to eat in or around Franklin (If you want more Pag wisdom, check out his blog Curmudgucation, which closely follows the foolishness of education reformsters). LEONARDO’S- Go for the bread (and the clam chowder on Friday night). Eat pizza or subs. And then keep coming back, because it’s kind of like eating at the grandmother’s house of the largest family in the world. I like the food but I also like the warm, friendly, always-see-someone I know atmosphere. In full disclosure, I do have to say The Boy's brother owns this restaurant, so I am not exactly neutral on it. In fuller disclosure, we ate here so often before I even dated the Boy that they knew my order when we walked in the door. So, the love is real. EAT N PARK- Go for Sunday brunch and the cookies. Smiley cookies are the world’s most perfect sugar cookies. The salad bar has a nice assortment, and on Sunday you get some fried chicken too. The breakfast is served all day, and it’s pretty good—but this is a restaurant in which the food will never alarm anybody. SHEETZ- It looks like one more gas station/convenience store, but it is in a whole other league. 7-11 just wants to be Sheetz when it grows up. The menu is fresh and tasty, and the entire place has a pleasant sass (as well as the best rewards card system ever). Get fries and an MTO (sub). If you’re near Altoona, go see the super-Sheetz. Seconded. Sheetz is the best gas station chain and a true diamond of western Pennsylvania. Even if you are just driving across 80, it is worth your while to stop at Sheetz. HANKS- Near Conneautt Lake, this is an old and awesome roadside ice cream stand that actually specializes in frozen custard. Great flavors and a big enough parking lot so coming and going are not stressful. Thanks PAG! Want to write your own Loving the Local List? You fill my heart with joy! 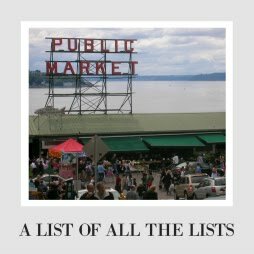 Just send me a list of your five to ten favorite local brands and stores (it doesn't have to be just around the street- a State specific snack or small chain of restaurants works just fine). Write a few sentences on why you love each thing (and I love pictures if you have them) and send them to sunshineguerrilla@gmail.com. 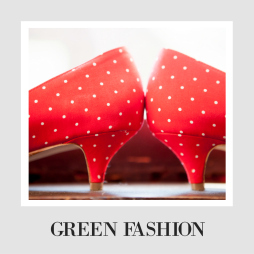 Would you like to buy more environmentally responsible or Made in America products? I've got you covered! Check out my Mega List of Shopping Lists for tons of ideas for any shopping trip.